Provide comfort for the family of Marie Leanos with a meaningful gesture of sympathy. Marie Leanos, 82, of Waco, passed away on March 5, 2019 at her home surrounded by friends and loved ones after a seven-month battle with Pancreatic Cancer. A Rosary and funeral Mass will be held 10 a.m. Tuesday, March 12, 2019 at St. Jerome Catholic Church, 9820 Chapel Road, Waco with Rev. James Ekeocha and Rev. Rakshaganathan Selvaraj presiding. Marie was born on July 4, 1936 in Chicago, Ill to Isidore & Marion Epifani. Her father owned a very popular Restaurant called the Jolly Inn. Time spent in the Jolly Inn helped shape her love and appreciation for cooking. Marie moved to California when she was eleven years old and attended Sacred Heart of Mary in Montebello, California and Woodbury College in Los Angeles. She worked for 15 years for Pacific Telephone Company as an operator, seven years at St. Madeline Catholic School as a music teacher, two years for Bonita Unified School District as an elementary school librarian, and 18 years for Saint Lorenzo Ruiz Catholic Community in Walnut, CA as the parish business manager. While working for Pacific Telephone Company she joined the company chorus called The Bell Tones. While in the Bell Tones she made life-long friends while doing what she loved best, singing. In 2007, Marie retired and moved to Antioch, California where she was active in her parish choir and volunteered at Kaiser Hospital. In 2011, Marie moved to Waco, Texas, where she was active at St. Jerome Catholic Church and volunteered at Hillcrest Hospital. Marie was devoted to her family and her Catholic faith. She had a beautiful and professional singing voice and a great enthusiasm for performing in church choirs her entire life. She was a founding member of the St. Jerome Sunday Supper Club, which holds themed dinners every month. She was a vibrant and active woman who will be sorely missed by all those who knew her and loved her. She was preceded in death by her parents, Isidore & Marion Epifani, and her nephew Joseph Epifani. She is survived by her children, sons, Stephen Leanos, John Leanos and Louis Leanos; daughter, Giana Leanos-Lomenzo and son-in-law, Ken Lomenzo; grandchildren, Giorgianna Lomenzo, Giancarla Lomenzo, Kenneth Lomenzo and Camino Leanos. She is also survived by her siblings and their families, brothers, Louis Epifani and sister-in-law, Irene Epifani and Richard Epifani and sister-in-law, Leonora (Sue) Epifani; sister, Norina Whittingham and brother-in-law, William (Bill) Whittingham; nephews, Ed Epifani and William (Billy) Whittingham; nieces, Gina and Valerie and William (Billy) Whittingham. 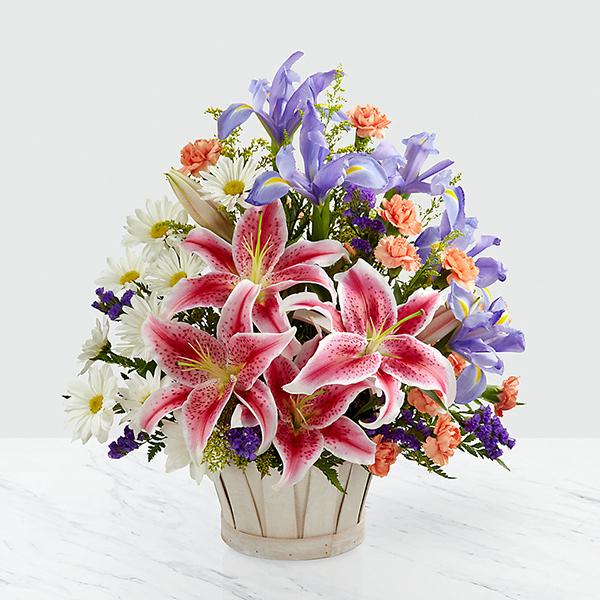 To send flowers in memory of Marie Leanos, please visit our Heartfelt Sympathies Store. Jun, Nuca and Shaneil Dalton and B J Moody have sent flowers to the family of Marie Leanos. Jun, Nuca and Shaneil Dalton purchased flowers for the family of Marie Leanos.